Semia Robot Master Club is set to open at 28 Prospect Street, the space that previously housed The Pilates Barre. The Planning & Zoning minutes show that a Special Permit Application for 28 Prospect Street was filed by Semia Education Technology for change of use to Educational Use. Eugene Zhang, company’s Managing Director, is a Ridgefield High School grad and lives in town. Zhang’s LinkedIn profile states that he has been a LEGO Education Partner in China for 18 years and is a World Robot Olympiad Board Member. According to the company website, Semia Educational Technology is headquartered in Beijing. The company mission is to nurture 21st century skills to students with fun and exciting STEM activities. 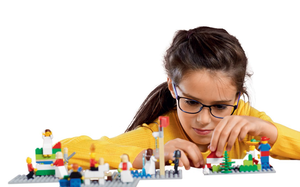 "We are a believer in LEGO® Education’s learning-by-making philosophy. We want to engage children in interesting hands-on challenges that are meaningful to them, challenges they can relate to in their daily lives," Semia states. We sent a note to Mr. Zhang regarding his new robotics club. We will bring you additional detail when available.